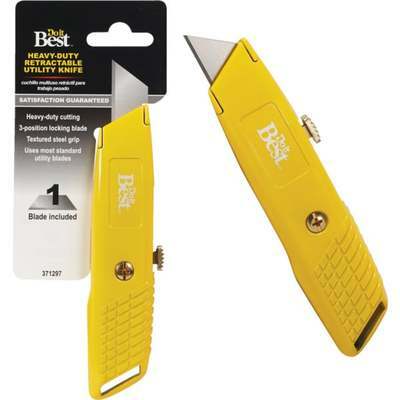 Heavy-duty, professional knife has heavy 2-piece die-cast body with ribs for slip-free usage. Blade locks in 3 extended positions or fully closed. Interlock nose secures blade between knife halves. Color: Yellow. Includes 3 heavy-duty 0.025 blades. Carded.